Department of Post, working as India Post, a government operated postal services, India post has the greatest network in India and is an epitome of supply chain.We called it “post office”. the India Post had 1, 54,866 post offices, out of which 1, 39,040 (89.78 percent) were in rural areas and 15,826 (10.22 percent) in urban areas. It had 25,464 departmental Post Offices and 1, 29,402 Extra-Departmental Branch Post Offices. At the time of independence, there were 23,344 post offices, primarily in urban areas. Since independence the network has seen a six-fold growth, with focus on rural areas. On an average, a post office serves 21.23 Km and a population of over 8000. Because of its far-flung reach and presence in remote areas it is also involved in other services, such as financials. When we thinking about post office, the first thing that comes to our mind is a person, wearing khaki, traveling on his bicycle, delivering letters, spreading happiness i.e., the postman.and second thing traditional works of letter collecting, and arranging in the office,and idle environment inside of post office. With the emergence of email and penetration of mobile telephony, people stopped using postcards and writing letters. The phase out of telegram another red Signal to India Post. It’s just a matter of time when physical letters will completely be replaced with electronic media.If the post office will not accept the change as per the situation India the Post Boxes will become a history. The Change is Everywhere, There are Many companies who taste the flavor of failed in the market who was the ranker of their industry.No doubt about NOKIA-who is the giant mobile and accessories manufactures but currently it is landed in distress ares.Whole market of Nokia is captured by Samsung and Apple.Nokia failed to analyzed the smartphone need of the people and due to that people sent it in comma. Read More! Focusing on Desi is a New Snacking Twist, Why? The Post is transforming itself into a one-stop shop and it will definitely touch the millions lives of India.The India post now made some important steps to change their business and working environment completely. I believe that the time is ripe for India Post to bring that moment of change. It is my sincere vision and passion to provide a world class postal service to the people of India.The India post must increase the quality of work to change the life of people.We want to make a new beginning in the journey of Post Office by providing modern, efficient and reliable postal services. 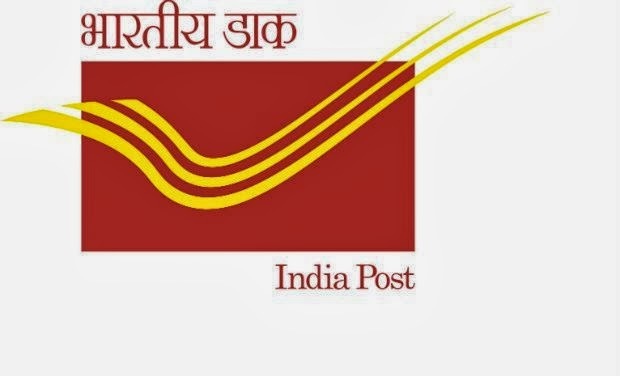 Indian post should continue to maximize the network by making the post office a one stop shop for communication, distribution and retail solutions.Before three years ago,the central government started the “Project Arrow”project for modernization of post.They have started many services e-post,e-bill payment,express parcel service,direct post and media post. Changing technologies, needs of the customer and requirements of the society has given a ‘new paradigm’ for the Post office, changing in its works gives the way to be a customer friendly and relevant organization in the society. ; the Indian economy is experiencing an incredible growth story. I would like to reiterate that the major threat to any organization comes not from change, but from not changing. That’s why, we are taking bold initiatives to bring major changes in the way Post office functions. The Post is transforming itself into a one-stop shop that will touch the lives of every Indian. India Post modernized its system to keep up with the pace and remain in competition.India Post has realized the important point that it has to find other sources of revenue. In fact, it diversified into distributing mutual fund products more than a decade ago. Last month it announced plans to set up mechanized warehouses and a tie-up with Air India to transport parcels for eCommerce portals. In this service The type the letter in electronic medium.if required they scan the document,then send it to the different post office where it required. Like another courier company they track the parcel that where it reach and aware the customer. They deliver the multiple letters to the different places of one companies. IF there is any precious cover then Indian post provides the full of security with insurance. India’s leading software services exporter, Tata Consultancy Services Ltd (TCS), got a six-year, Rs.1,100 crore contract to equip India Post with modern technologies and systems. The aim of this contract is to help the department deliver not just postal services but also insurance, disburse pensions, accept deposits and collect bills, other courier companies have also emerged with the latest technology and a better delivery system which have added to the woes of post office. But India post adopting itself to the latest technology. India Post applying for new commercial banking licenses. And India Post is unbeatable in this, with over 1.5 lakh post offices across the country-90 percent of which are in rural areas. The biggest bank SBI has just over 15,000 branches which is nothing, as compared to India Post. The objective of new banking licensing is improving financial inclusion; India Post being a government department, RBI have no problem. People are familiar with Indian post so there is no issue of credibility.